MJR! Logo Goods - MJR! Check out our limited supply of logo goods! Our tees are printed double-sided on heavyweight cotton. 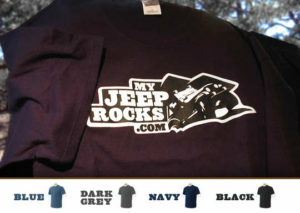 If you request sizes and colors, we’ll restock. For now, here’s what we have. Alternate payment methods accepted, please use our contact form and we’ll work it out with you. $26 includes US shipping. 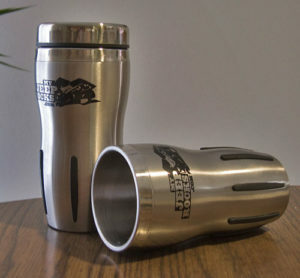 These coffee mugs fit perfectly in your center console! Like all insulated mugs, hand wash only please. $16 includes US shipping. 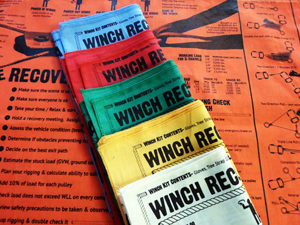 Our beautifully functional winch bandanas are sold out, but here’s where to find more! Say you found them on MJR.